The NBA uniform consists of jerseys, shorts, and sneakers. And of all the sneaker brands worn in the NBA, one stands above the rest. Over 70% of NBA players wear Nike (NKE) shoes, according to data manually compiled by Baller Shoes DB. Those figures also found that Nike has four of the top five sneaker models worn by current NBA players. The Swoosh brand’s NBA dominance is part of the brand’s strength as a whole. On Dec. 20, Nike beat Wall Street expectations on both the top and bottom lines. Nike is so embedded into the worldwide sneaker fabric that it seems as if the company has always been at the top. But that's not true. To understand how Nike became the NBA sneaker king, we must take a trip down memory lane. Converse used to be the be-all, end-all of basketball sneakers. In 1922, basketball player-turned shoe salesman Chuck Taylor urged Converse to create a more flexible basketball shoe. 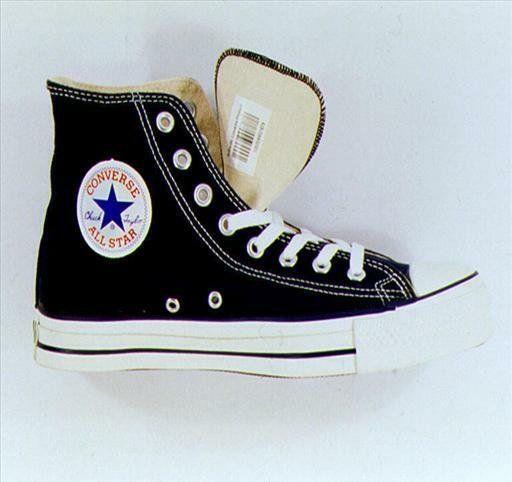 Converse obliged Taylor, and the Chuck Taylor All-Star skyrocketed in popularity. In 1936, the All-Star was the official basketball shoe of the first-ever gold medal-winning men’s Olympic basketball team and the official athletic training shoe of the U.S. military during World War II. By the 1960s, the company owned around 80% of the U.S. sneaker market. But by the time the 1970s came around, Converse saw a decline in sales and popularity The change in fortune was mostly sparked by greater competition in the sneaker market by the likes of Adidas and Nike. Another catalyst for Converse’s downfall was the company not switching to leather uppers at the same time as its rivals. Leather was beginning to be favored by pro players due to its durability. By the time the 1980s began, Wayne “Tree” Rollins was the sole man playing in Chuck Taylors in the NBA. With the once-mighty Converse falling on rough times, competitors like Adidas and Nike leapt in to cement their claim on the basketball shoe market. Nike, in particular, innovated in both marketing and endorsement. Founded in 1964 as Blue Ribbon Sports by former University of Oregon track runner Phil Knight, the company immediately faced fierce competition from established brands such as Puma and Adidas. By the late 1970s, Nike realized that if it was going to overtake the more established brands, it had to make sure more athletes were wearing its sneakers. Enter Nike marketing executive Sonny Vaccaro, who saw a major flaw in the way shoe and apparel companies handled business with college athletes. Prior to the late ‘70s, colleges and many pro athletes paid for their own athletic shoes and apparel. Vaccaro came up with a plan: Pay college coaches and give their athletes free merchandise. Last year, Vaccaro told Vice Sports that it all started in 1977, when he gave college basketball coach Jerry Tarkanian $5,000 and 120 pairs of free Nikes. From then on, college athletes from many of the nation’s top programs were on the field and on the court wearing the Swoosh. Now that Nike was starting to dominate college sports, it would soon be time to do the same with the NBA. In 1984, Adidas reportedly passed up on the opportunity of a lifetime. In June of 1984, the NBA held its annual draft and Adidas had the chance to sign the third pick. The player in question wanted to sign a shoe deal with Adidas, but the company’s executives took issue with his height. The player stood “only” 6 feet 6 inches tall, and the company believed consumers favored sneakers worn by taller players. That player was Michael Jordan. Nike gave Jordan a five-year incentive laden contract worth $7 million, which was unheard of for an NBA rookie. 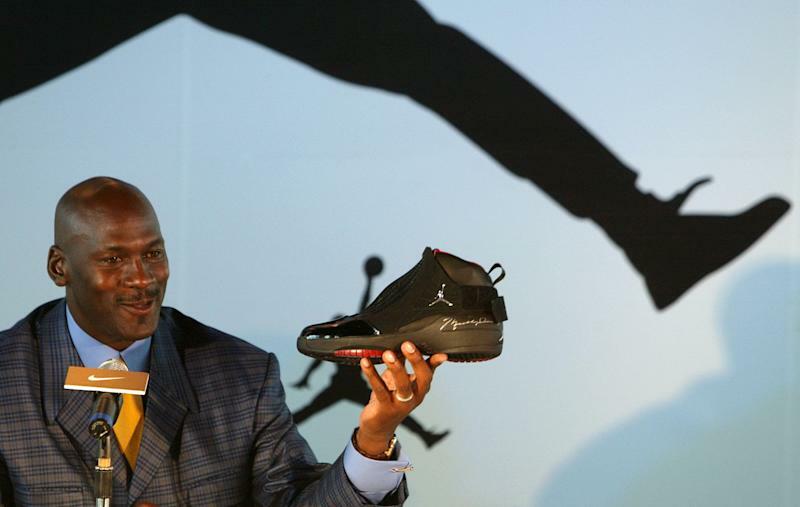 The Oregon company also tailored the design of his shoe around Jordan’s taste and preferences. The young player lived up to the hype by being named the 1984-1985 NBA Rookie of the Year. Jordan then became basketball’s biggest star, and by association, Nike became the go-to sneaker choice for most NBA players. While Nike clearly dominates the NBA shoe market, other manufacturers are trying to catch up. The classic German shoe brand Puma has started to make its way back into the basketball shoe market with the signing of NBA All-Star DeMarcus Cousins to a multiyear deal in October. 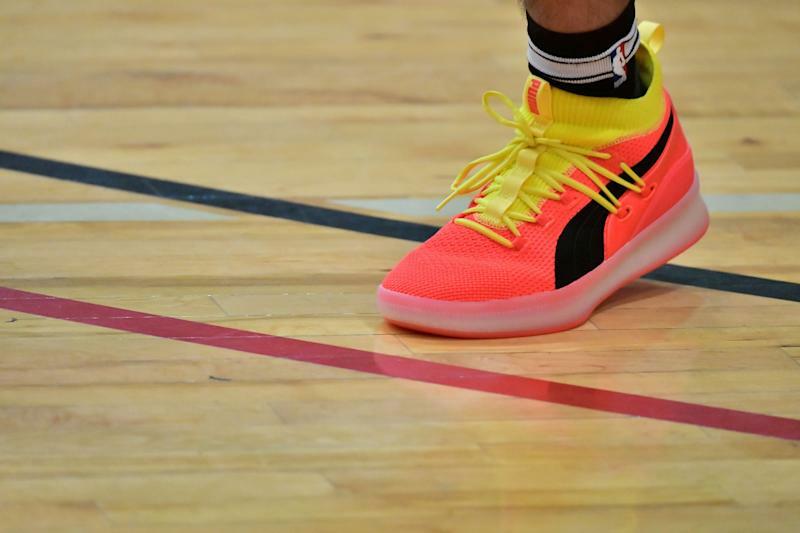 Cousins currently dons the Puma Clyde Court Disrupt, which is Puma’s first basketball shoe in almost 20 years. 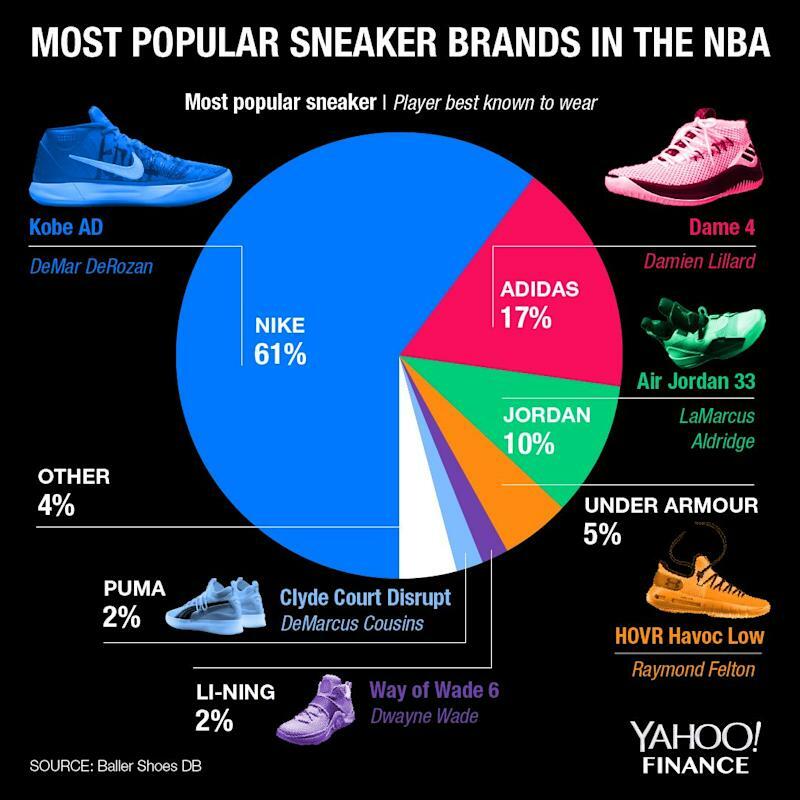 The relatively young Chinese brand Li-Ning now makes up 2% of the NBA shoe market. 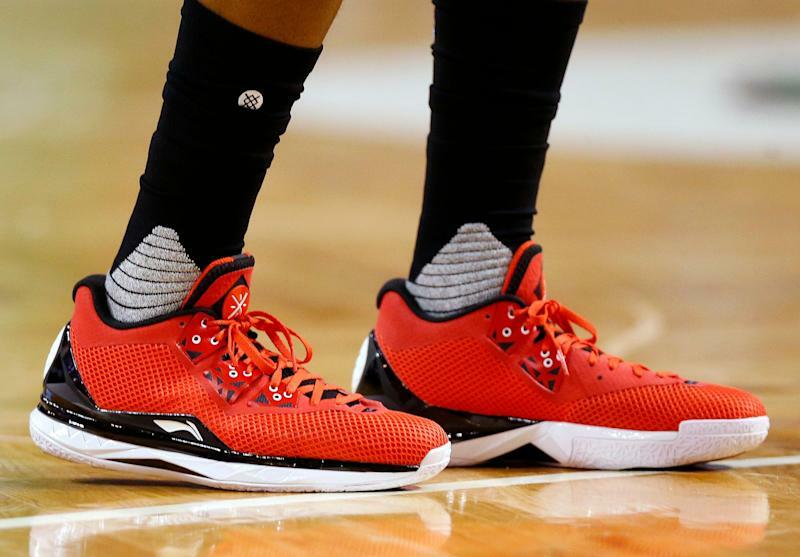 Li-Ning, founded in 1989, made a splash in 2012 when the company snagged three-time NBA champion Dwyane Wade away from Nike’s Jordan brand in a deal worth around $8 million. But even with this new competition, Nike’s reign as NBA sneaker king will likely not end anytime soon. And as for the other parts of the NBA uniform — the jerseys and shorts — Nike has that covered too: In the 2017-18 season, the company began an eight-year deal to provide the official NBA uniforms. Reggie Wade is an associate producer at Yahoo Finance.